Four first place finishes for Audi in the Car Connectivity Award 2016: In the reader survey conducted by “auto motor und sport” and “CHIP” magazines, Audi wins in the Assistance Systems, Control Concepts/Displays, Sound Systems and Entertainment/Multimedia categories. More than 32,000 readers voted. Marcus Keith, Head of Development for Audi connect, Control and Display Systems at AUDI AG: “This repeated victory in four categories confirms our competence in the promising fields of digitalization and assistance systems. The focus of our connection strategy is on increasing customer benefit in the areas of safety, comfort and efficiency.” Audi won in the Assistance Systems category with its adaptive cruise control including traffic jam assist. In the Control Concepts/Displays category, Audi impressed voters with its MMI all-in-touch control system. Audi took top honors in the Sound Systems category with its Bang & Olufsen Sound System with 3D sound. And the Audi tablet rear seat entertainment put Audi in first place in the Entertainment/Multimedia category. Participants in the “Car Connectivity Award 2016” reader survey selected their favorites in a total of eleven categories. This is the third time “CHIP” and “auto motor und sport” have presented the award. The award ceremony took place yesterday evening in Stuttgart. In the photo above: Marcus Keith, Head of Development of Operating and Display Systems of AUDI AG, at the award ceremony „Car Connectivity Award 2016“. This entry was posted in Connected Cars and tagged audi, audi ag, Audi Cconnectivity, Audi MMI, Auto motor und sport, Marcus Keith, Traffic Jam Assist. on September 20, 2016 by Tim Cosgrove. AUDI AG becomes founding partner in Berlin’s “Flying Health Incubator”. The center supports startups that develop digital innovations in the healthcare sector. With its involvement, Audi is accelerating to develop “automotive health” as new business area – dedicated to enhance customer’s health and fitness while driving. With Audi Fit Driver, the brand is already testing innovative services and functionalities in this field. In the Flying Health Incubator, AUDI AG is entering into dialog with decision-makers from the startup scene and from the healthcare industry. Together, the partners will strive to identify trends, technical solutions and business models in the digital health market at an early stage. The incubator scouts startups with innovative concepts in this sector and assists them over multiple years. The focus of the cooperation for Audi is on new approaches to monitoring fitness and health and their integration into the brand’s ongoing development projects. Audi Fit Driver is intended to allow drivers to arrive at their destinations in a more relaxed and healthy state than when they get into the car. With this, the system is also contributing to road safety. It is currently being used in first concept cars. The car’s sensors work together with a wearable – such as a smartwatch – to monitor the driver’s vital signs. The car’s systems respond accordingly to invigorate, relax or protect the driver: for example, with a seat massage, appropriate air conditioning and interior lighting, adaptive infotainment, or in a later development phase, with a piloted emergency stop. This entry was posted in Connected Cars and tagged audi, audi ag, audi fit driver, automotive health, Connected Cars, digital health, flying high incubator on August 3, 2016 by Tim Cosgrove. 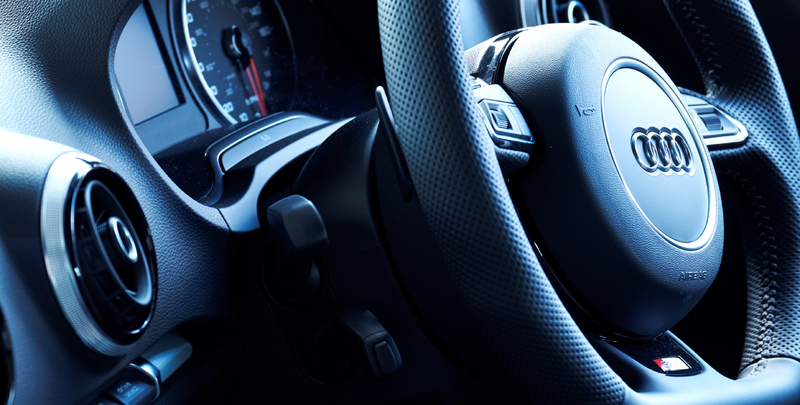 Global connectivity platform provider Cubic Telecom and Audi today have announced a partnership to deliver high-speed connectivity for the Audi connect infotainment services to drivers across Europe. This is representing the largest-scale rollout within Cubic Telecom’s MVNO connectivity initiatives. Through the initiative, Audi customers will not only be able to access Audi infotainment services, but can also purchase competitive regional or Europe-wide data plans using an in-car store or the myAudi web portal, to provide easy internet access for their portable devices with personal apps using the Audi connect Wi-Fi hotspot. Cubic Telecom’s network partners cover 13 countries including Germany, France, Spain, Italy, UK, Ireland, Belgium, Luxembourg, Switzerland, Netherlands, Sweden, Austria and Denmark making it the largest independent MVNO based LTE network in Europe. Cubic Telecom uniquely provides a true global embedded connectivity solution – through an automotive grade embedded SIM providing local connectivity for the vehicle regardless of where the driver travels in Europe. Users will experience premium-class connectivity reliability and speed. Cubic Telecom enabled Audi vehicles will enter the market in selected models in 2016 carlines across Europe. For more details go to (www.audi.com). This entry was posted in Connected Cars and tagged audi, audi infotainment, Connected Cars, cubic telecom, MVNO. LTE. on February 3, 2016 by Tim Cosgrove. Tired of having to stay home (or ship to the office) just to collect your online orders? If you live in Germany and drive the right car, you might not have to. 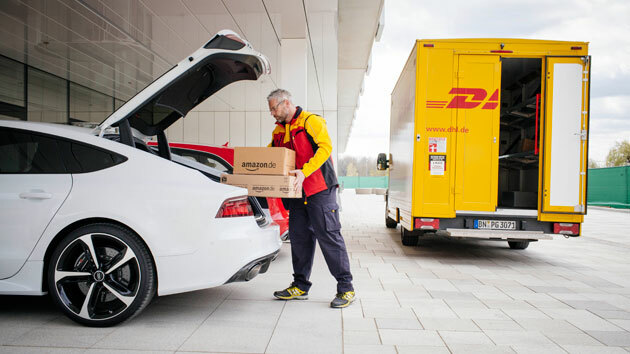 In an expansion of what Volvo tried last year, Amazon is teaming up with Audi and DHL for a trial that delivers Amazon Prime purchases directly to connected Audi cars in the Munich area. All you have to do is provide the rough location of your car during the delivery window — after that, the DHL courier gets temporary access to the trunk of your vehicle to drop off your packages. Suffice it to say that this could be more than a little handy if you’re busy working or visiting family. The trial will only involve a handful of people when it kicks off in early May, but here’s hoping that it expands quickly… the days of staring anxiously at your front door could eventually come to an end. This entry was posted in Technology, Telematics and tagged amazon, amazonprime, audi, connectedcar, delivery, dhl, E-Commerce, internet, shipping, shopping on April 24, 2015 by Tim Cosgrove. MIT, in partnership with Audi and GE, has launched HubCab — a transportation tracking tool aimed at reducing commuting congestion, decreasing vehicle emissions and dramatically lowering the cost of mobility infrastructure. Additionally, users can explore 200 thousand street segments in New York over several time segments of the day, which amounts to more than one trillion flow combinations. HubCab allows users to discover exactly when and where taxis pick up and drop individuals in New York City, which is useful in helping identify specific areas and time of condensed pickup and drop-off activities. This entry was posted in In-Car, Telematics and tagged audi, GE, HubCab, MIT, New York, NYC on March 17, 2014 by Tim Cosgrove. Audi and AT&T will offer two limited data plans: a 6-month plan with 5 Gigabytes of data and a 30- month plan with 30 GB. All Audi A3 sedans equipped with Audi connect will receive a free six-month trial period. Previous experience with 3G+ Audi connect owners has shown they prefer either a 6-month or a 30-month term, which are designed to accommodate the consumer’s typical usage. The plans are based off typical usage in a vehicle. Customers can be sent e-mail alerts if they near the data plan limit. As previously announced, this summer Audi will become the first automaker to offer a Mobile Share data plan option to AT&T wireless customers who would like to add their vehicle to their existing Mobile Share plan. 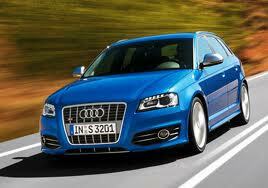 Audi plans to roll out 4G LTE capability across its entire lineup as new or refreshed models come to market. AT&T has the nation’s most reliable 4G LTE network. The new A3 family will feature the most advanced version of Audi connect, including picture navigation, read-aloud news headlines, Facebook and Twitter alerts, access to more than 7,000 Web radio stations, personalized RSS news feeds, and more. An accompanying mobile app will allow advanced functionality between the MMI system and smartphones, reducing the need for Audi motorists to handle their devices when accessing some smartphone-based features. This entry was posted in 4G, In-Car, Telematics and tagged 4G, AT&T, audi, LTE on March 12, 2014 by Tim Cosgrove. Vodafone has announced that it will supply an embedded SIM for new Volkswagen and Audi models in Europe, as the automotive sector becomes increasingly important for operators’ M2M ambitions. Currently Audi offers a package of services which includes “in-car navigation, communications and infotainment services together with a WLAN hotspot”. In 2013, the Audi S3 was the company’s first model to integrate a 4G-capable infotainment system, enabling Vodafone subscribers to access its 4G network. The car will be on display at this year’s Vodafone CeBIT stand. Erik Brenneis, head of Vodafone’s M2M, said: “As a result of this agreement, we will strengthen further our position in the automotive sector – one of the key markets for M2M communication. Our efficient mobile communications networks ensure that the networked car is becoming more and more widespread, including across European national borders”. One of the factors suggested by Vodafone that might drive user adoption is the planned EU-wide emergency call system – known as eCall – which automatically sends out a SOS in the event of a vehicle accident. Vodafone already has previous experience with M2M in the automotive sector. Two years ago Vodafone Germany unveiled a five-year deal to supply M2M connectivity for BMW cars sold domestically. This is not the first time Vodafone has worked with Volkswagen either. In 2012, the mobile operator announced it had been chosen by the car maker to supply mobile services to its workforce of more than 90,000 employees. In addition to supplying voice and data services to Volkswagen workers, Vodafone also agreed to offer data transfer for business process management in areas such as logistics and production. That agreement is for internal functions as opposed to the latest M2M deal which is focused on customers. This entry was posted in M2M (machine-to-machine), Uncategorized and tagged 4G, audi, ecall, Eric Brenneis, M2M, vodafone, VW on March 7, 2014 by Tim Cosgrove.